This entry was posted on 13th February 2015 by The Salon Look Girl. The S/S catwalks are currently in full swing, and although we would love to be able to afford the couture on offer, we have instead, reluctantly accepted the realisation that with our diminishing budgets, we can only look to emulate this season’s staple looks. Although our wardrobes may waver from the lack of funds, there’s no reason why our hair should go down the same route. The hairstyles on this year’s catwalks have been awe-inspiring, and while we wouldn’t suggest going for Jean Paul Gaultier’s beekeeper headdress creation for drinks with the girls, we do think a bit of hairspiration would add a touch of creative shine to these dreary winter months. So sit back, and let The Salon Look help you to recreate some of those iconic looks with affordable products, and before you know it, you’ll be looking like Cara and Rosie in no time! Put the spring back into your step with a soft and romantic up-do like the exquisite hairstyle created by Valentino for the S/S Show. We can’t work out what was better the Rapunzel-esc plaits or the dainty and sweet daisy chain. If you want to recreate this look, you’re going to need your hair at its nourished best. 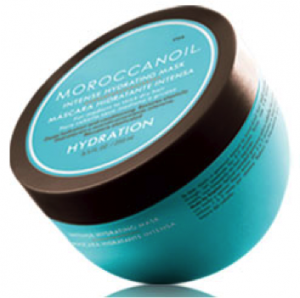 Therefore, we suggest applying Moroccan Oil Intense Hydrating Mask to put some moisture back into those thirsty locks! At only £24.75, it’s a bargain that will leave your hair feeling rich and silky. Balmain have got it spot on with their utilitarian hairstyles on the catwalk this season. The slicked back wet look was used on every model in their S/S show, and it’s not hard to see why, it’s chic and stylish without being overbearing on the eye. This style is easy to create and can take you from the office to a night on the town with flawless effort. The trick with achieving this look is to banish all frizz when blow-drying, whereby Pureology Hydrate Shine Max is the product to smooth those fly-aways whilst adding a healthy shine to your look. 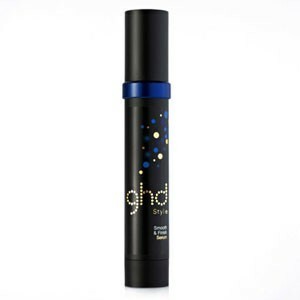 Also try using GHD Smooth & Finish Serum whilst combing your hair backwards to achieve that oh-so sleek wet-look. My personal favourite look from the catwalk this season is the big bouncy blow out as featured on the Diane von Furstenberg runway. This style is going to turn heads, think Bridget Bardot and you’ll be on the right track. To get these larger-than-life tresses, you need to maximise your hair’s volume. For this, I recommend Color Wow Raise The Root; it’s perfect for creating that spring and fullness that will last all day and into the night! There is nothing wrong with keeping it simple, and if it’s good enough for Vera Wang, it’s definitely good enough for us! Keeping it natural can sometimes gain the most impact; the subtle plaits featured on Wang’s models added an extra twist to a timeless style. The key to perfecting this look is to go for a product that will give lots of shine without appearing greasy or weighed down. 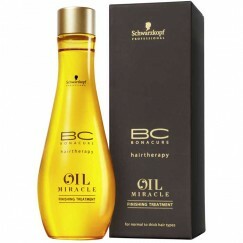 BC Bonacure Oil Miracle Light Finishing Treatment is the ultimate hair care product for those of us with fine tresses! The treatment will ensure vitality and banish frizz without being damaging to your locks. The final stop on our journey to catwalk hair glory is the sophisticated middle parted up do, as modelled by Kendall Jenner on the S/S 15 Dolce and Gabbana runway. To produce this flattering style, you will need to ensure that your locks are well tamed; we recommend using Tecni Art Dual Styler Sleek & Swing to smooth hair with ease. This look screams high fashion, and once you’ve achieved it, you won’t want a strand out of place. Using Catwalk Sleek Mystique Look-Lock Hairspray will enrich your hair with the scents of honeysuckle and lychee, whilst ensuring a natural hold. While I can’t guarantee you a supermodel body, at least I can ensure that anyone of these hairstyles will have your hair looking runway ready in a flash. So hurry up and get styling!! PS: Unfortunately, due to salon commitments, I have been unable to attend any of the S/S shows so far this year. However, to be sure not to miss out, go on Google to see all the latest shots to get those inspiring looks!